Marijuana will soon be legal in the Golden State, but don't expect your future dispensary order to be delivered by one high-tech method: drones. California's Bureau of Cannabis Control has ordained that cannabis and cannabis products must be transported inside commercial vehicles or trailers. 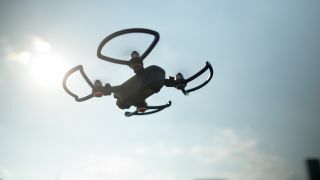 The bureau has ruled out delivery by "aircraft, watercraft, rail, drones, human powered vehicles, or unmanned vehicles." This last point also means self-driving cars won't be dropping off your herb, either. This puts an end to some startups' California dreams of delivering weed via drone, as Ars Technica points out. MDelivers, Eaze and Trees Delivery are among several companies that have announced or demonstrated drone drop-offs. While California residents won't have marijuana delivered to their doorstep by drone anytime soon, there are plenty of other goods taking to the skies.